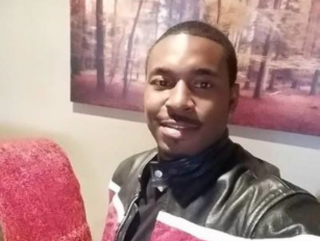 A 27-year-old Virginia teacher was found unconscious in handcuffs and was later pronounced dead after special police—a private security detail with arrest powers—for a Washington, D.C., apartment complex placed the man in custody. Alonzo Smith was not breathing when D.C.'s Metropolitan Police arrived at the Marbury Plaza Apartments around 4 a.m. Sunday. Special police officers had reportedly taken Smith into custody, according to Fox 5 DC. Smith, who had worked for the past three years as a teacher in Virginia, was pronounced dead at a local hospital. Metropolitan Police have launched an investigation into how the man died while in the custody of the security force. D.C. police officials told the news station that they had arrived at the Marbury in response to a report of an "assault in progress." Smith was found on the second floor, handcuffed, unconscious and not breathing, according to police. According to Fox 5, a witness had heard a man's voice scream, "Help! Help! They're going to kill me!" as someone ran down a second-floor hallway. It is unclear whether Smith, who had self-published a book of poetry, lived in the complex, but an attorney for Smith's family believes that Smith was alive before his encounter with the security force and that his death may have been caused by its actions. Marbury Plaza declined Fox 5's request for an interview. Smith's mother started a GoFundMe page to help pay for her son's funeral. "Alonzo departed this earth and gained his heavenly wings," Smith’s mother wrote on the crowdfunding page. "We all know he was loved by many."